One of the delights of the festive season is Christmas music — what better way to get in the holiday mood than to listen to your favourite carol, or popular Christmas song such as Jingle Bells, or Frosty the Snowman? Yet customers get tired of the same old recorded music. We at Christmas Brass have the solution to this problem: providing live Christmas music for your shop. 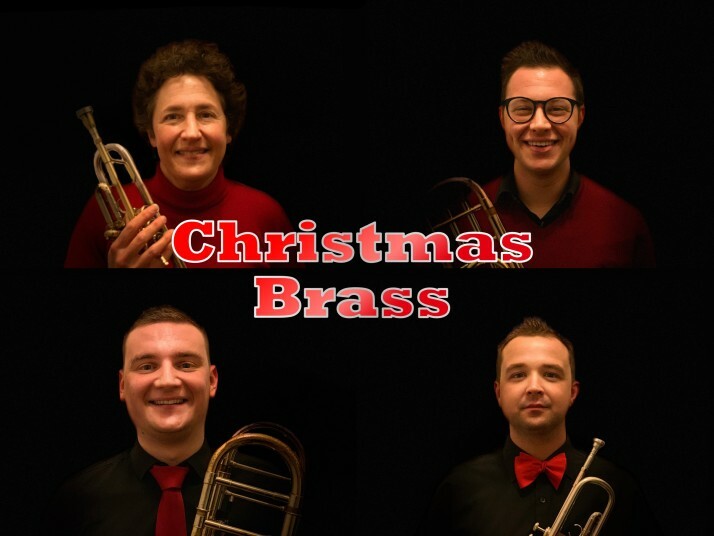 We are four highly trained, working professional musicians who are experts at adding festive cheer to the shopping experience! Beyond attracting shoppers to listen to the music, we can work with you to promote other aims that you might have. For example, we can help you to raise money for a charitable cause, or wear (or otherwise exhibit) any clothes or seasonal merchandise that you would like to display. We are of course happy to discuss with you any other ways in which you think we might be of help to you this season.